Johnny (John Barton) Gruelle (1880-1938) was an artist, political cartoonist, and writer of children's books. 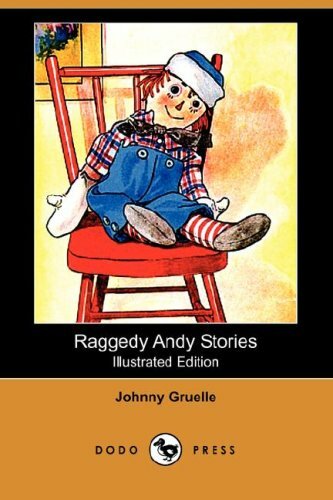 He is best known as the creator of Raggedy Ann. He also provided colour illustrations for a 1914 edition of Grimm's Fairy Tales. His first well known cartooning work was Mr. Twee Deedle which Gruelle created after he beat out 1,500 other entrants in a cartooning contest sponsored in 1911 by The New York Herald. Mr. Twee Deedle was in print from 1911 to 1914. In 1918, the PF Volland Company published Raggedy Ann Stories. Gruelle then created a following series of popular Raggedy Ann books and dolls. Gruelle lived in the Silvermine section of Norwalk, Connecticut, where the dolls were first mass produced, and later moved his home and company to neighbouring Wilton, Connecticut. He spent a year in Ashland, Oregon from 1923-1924.